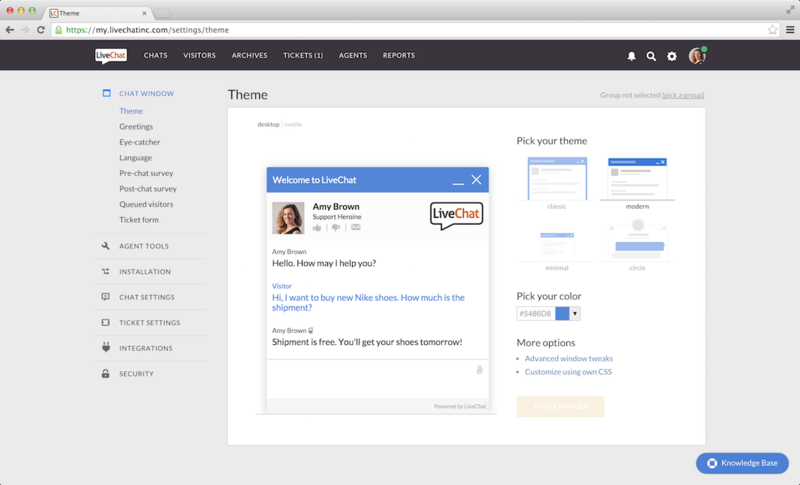 LiveChat is a simple and beautifully designed tool for online communication between a company and its customers. 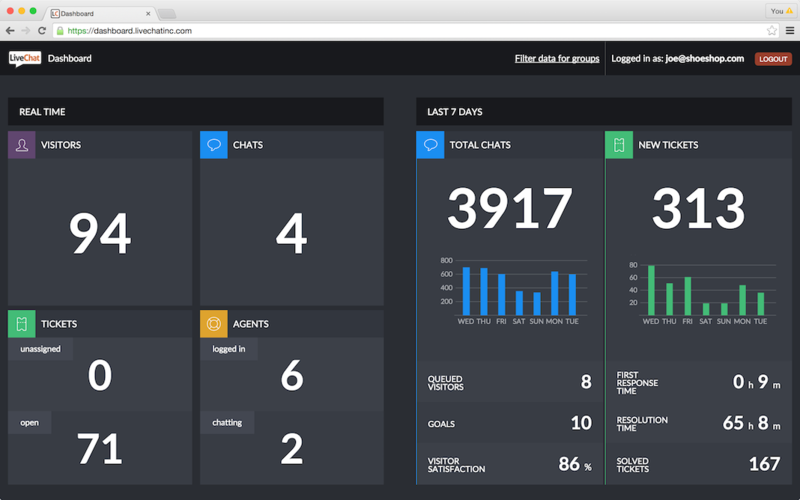 Now your clients can contact you faster and easier than ever before. 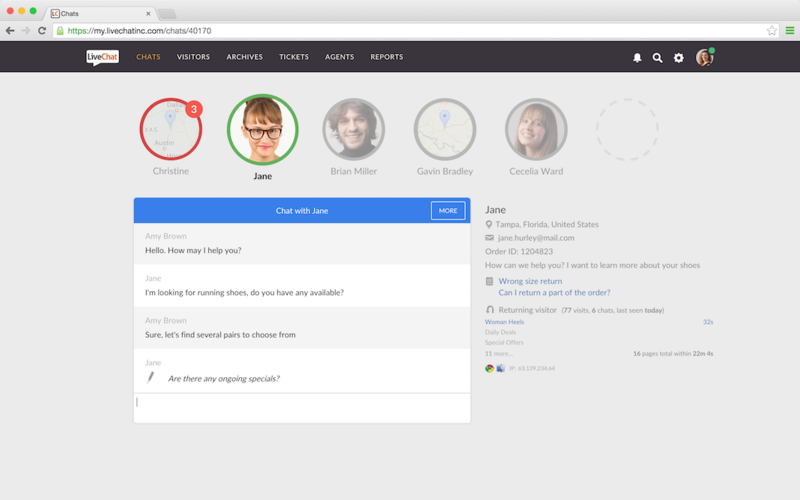 It's possible to fully customize LiveChat widget with CSS styles. The customization can differ for domains and pages. It comes with many native integrations like Wordpress, Shopify, AdWords, Mailchimp or Facebook. 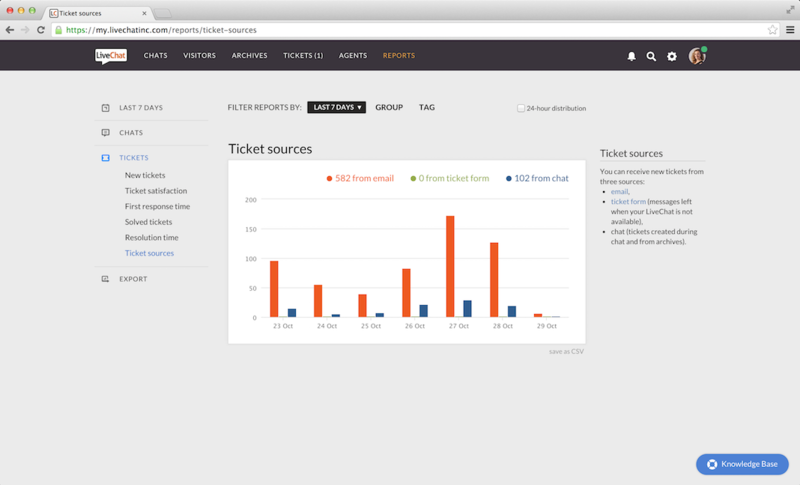 It also allows you to build your own integrations, as you get access to powerful API. 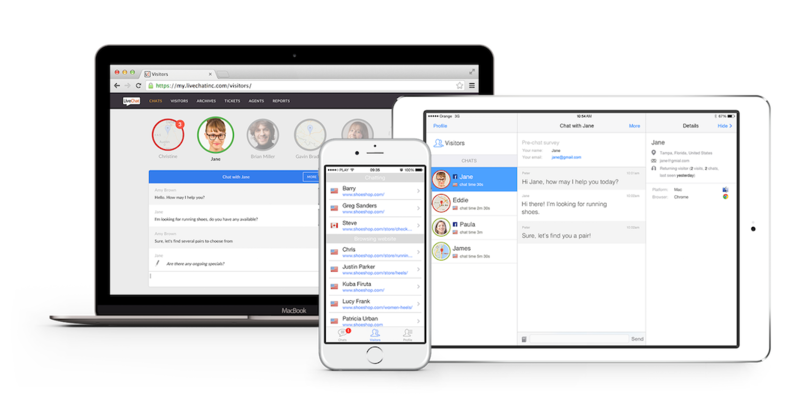 The LiveChat window comes in 36 languages and a variety of colors and styles. To make the chat option more visible for your visitors, you can set up an eye-catcher that will get their attention. You can also adjust the feel and look of the chat window using CSS styles. LiveChat support is available 24/7 so you can reach them at any time you need to. Sign up for a free, 30-day trial to test out all the features!